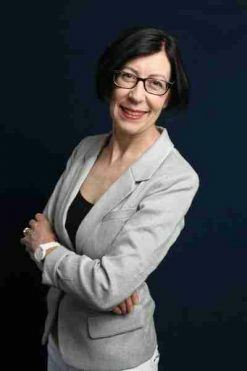 Journalist and Author Catherine Fox is the keynote speaker at next month’s Macquarie University Gender Equity Week Lecture on Monday 4 March. Her book Stop Fixing Women looks at why traditional approaches to improving gender equity in the workplace have been largely ineffective. We sat down with Catherine and Jo Hatton – Manager of Workplace Diversity and Inclusion at Macquarie ­– to learn more about why many organisations like Macquarie are re-focusing their efforts on fixing the system, not the women within it. Catherine, what motivated you to write Stop Fixing Women? Catherine: Many organisations I was speaking to about gender inequality were saying “we really want to change this, but we can’t afford it” or “we’ve tried so many things and none of them worked”. Companies were wasting so much money and time on programs that just weren’t getting results and gender fatigue was setting in. Other companies were treating gender equity a bit like a sheep dip ­– 15 minutes of unconscious bias training for managers, tick. CEOs of large companies would proudly tell me “Oh yes, we’re doing this and this and this” but then couldn’t tell me the actual outcomes. This waste was incredibly frustrating for me to see. I hate waste of talent and time almost as much as I hate unfairness! And of course, we’re talking about absolute economic fundamentals here. Allowing women to participate fully in the workforce and generate adequate retirement savings ­­– there’s larger economic impacts at stake. So, I wanted to go away and take stock of the situation and see if there was anyone who was getting results by doing things a different way. 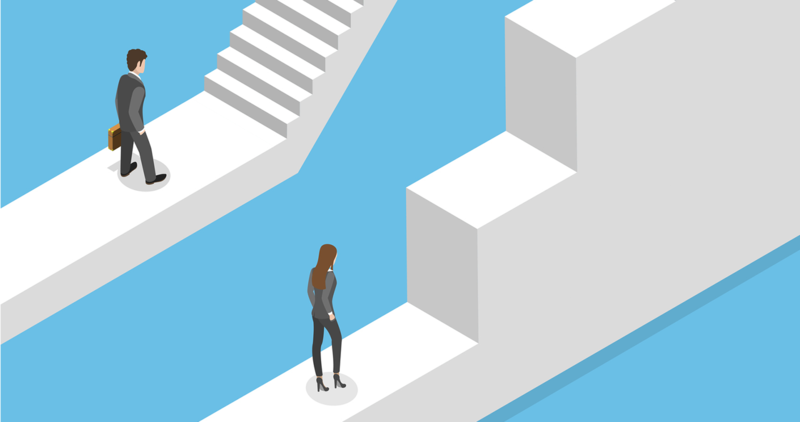 What do you think is impeding progress when it comes to the gender gap? Catherine: A lot of organisational approaches have looked at supply, not demand. The thinking has been “we don’t have enough women”, or “women lack confidence and ambition”. We’ve then been using a cookie cutter approach to try to turn women into this idea of a ‘perfect’ employee, which is usually based on a stereotypical man. This focus on fixing women’s ‘deficiencies’, rather than the underlying structural issues that throw up barriers for women, can actually have the opposite effect. It reinforces the stereotypes that cause the problem in the first place. For example, by running ‘Women in Leadership’ workshops, you’re reminding your workforce that women need to be taught a particular set of different skills, which often reinforces existing bias. When, of course, everyone – both women AND men – can benefit from leadership training. So why not just ‘Leadership Workshops’? So, what was working in the organisations you spoke to? Catherine: There are several approaches that were having an effect, which I talk about in the book. Mostly it was CEOs who really understood there was bias woven through rules and practices and intervened to change them. They were improving recruitment or contracting criteria so that a mixture of men and women were on shortlists and interviewing panels, for example. Or using anonymous recruiting – removing candidates’ names in initial vetting processes. Or running gender pay gap audits. Jo, our School of Engineering had great success with these kinds of recruitment strategies, as we reported in This Week last year. Are you seeing a shift in recruitment practices at Macquarie? How is the University tackling unconscious bias more broadly? Jo: Our Workplace Gender Equity Strategy focuses on attracting, recruiting and retaining more academic women as a priority. Overall, we’re seeing more inclusive job advertisements and better targeting to reach a more diverse applicant pool. Inclusive recruitment tools and tips have been built into new training for hiring managers, and we’ve been piloting new initiatives to mitigate bias in our recruitment process, including anonymised recruitment. Organisations spend vast amounts of money on unconscious bias training, which research shows doesn’t work. At Macquarie, our approach is to ‘fix the system’ – which means trying to identify the barriers inherent in our policies and systems where inequality/unfairness can creep in, and developing plans to address that potential for bias. It can sometimes be difficult for organisations to engage all their employees with gender equity when some people view it as just a ‘women’s issue’. Why is important for men to be actively involved in improving gender equity? Catherine: CEOs who are on the front foot on gender equity often tell me they have battled with backlash and resistance. Some men, and some women too, are often quite reluctant to change. Nobody gives up power easily. But we can change and have done it before. Remember, a lot of people were reluctant about Occupational Health and Safety rules when they first came in, but look at the results. The benefits have been undeniable. Ultimately, dismantling attitudes and systems that are based on gender stereotypes can only happen when the people who hold the power have these conversations and take action. And in many organisations, these people are still overwhelmingly men. Jo: As Catherine mentioned, traditional gender stereotypes don’t benefit anyone – there are so many men and women who are disadvantaged by this narrow and exclusionary model, so it will support everyone if we collectively shape a more diverse and inclusive workplace at Macquarie. We all have a part to play in creating this more inclusive workplace and our Executive Group all have a gender equity KPI, so they’ll be leading change in their faculties or portfolios, and reporting on progress each year. There are also a growing number of faculty and department-level Diversity and Inclusion committees that we hope to formally recognise and support over the next 12 months. I encourage everyone at Macquarie to seek out one of these committees and get involved – and if there isn’t one in your area, maybe you could start one! We invite everyone – whatever their gender identity – to come along to our Gender Equity Week events to learn, to get involved, and to hear more about how we are ‘fixing the system’ at Macquarie. Register for Catherine Fox’s lecture, and other Gender Equity Week events, on the Gender Equity Week website.